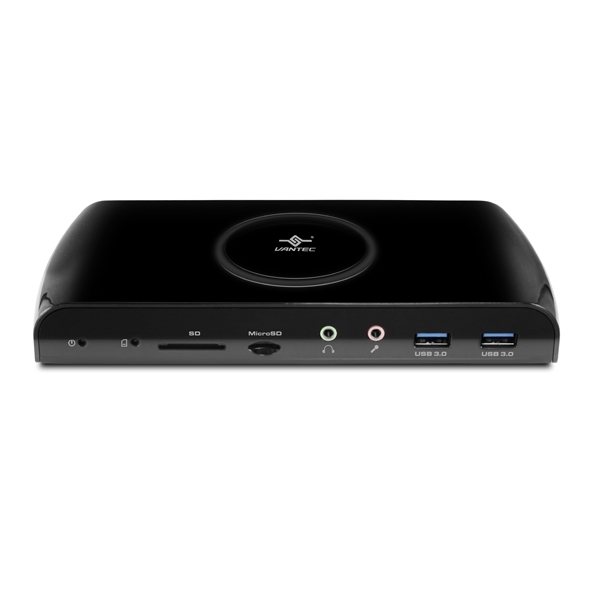 The Vantec USB 3.0 Universal Dual Video Docking Station with SD reader is an expansion device designed for today’s ultra-lightweight and portable laptops. 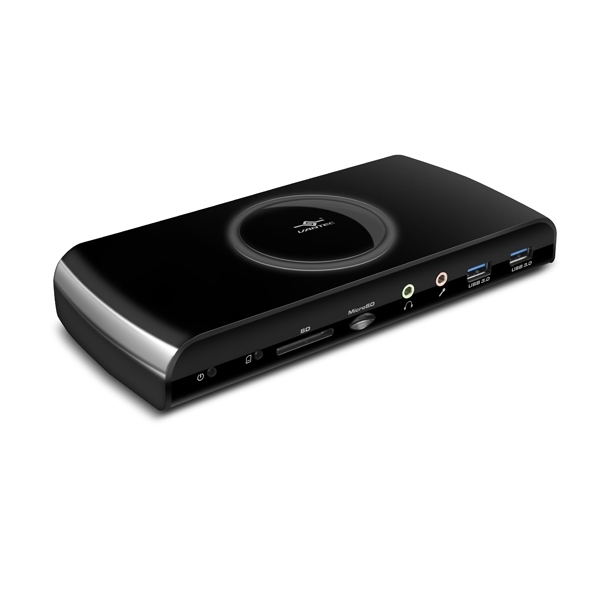 It provides an easy link to all the peripherals using a single USB 3.0 connection. Once connected, you can access your monitors (HDMI/DVI/VGA), headphone, microphone, Gigabit Ethernet network, five additional USB 3.0 ports and SD/MicroSD reader. 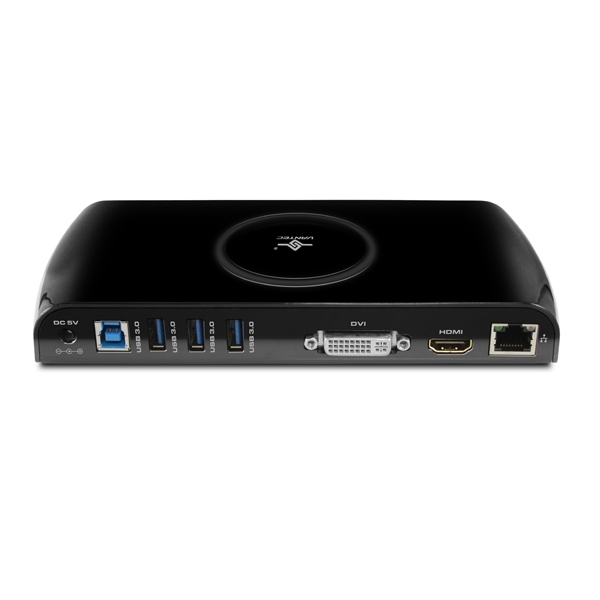 The Dual HD video port can easily turn your laptop into a Multi-Monitor Workstation and the SD/MicroSD reader supports newer and larger capacity cards. The availability of five additional USB 3.0 ports gives you so much more devices that you can connect and use like storage, mouse, keyboard, and printers. Simplify your workspace and connect all your peripherals with the Vantec USB 3.0 Universal Dual Video Docking Station and create an office setup without sacrificing portability. USB Battery Charging Specifications v1.2 (SDP, CDP, DCP) for smart phone.